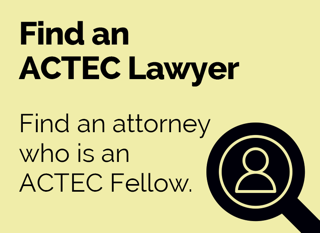 The American College of Trust and Estate Counsel, ACTEC, is a national organization of more than 2,500 lawyers and law professors peer-elected to membership. 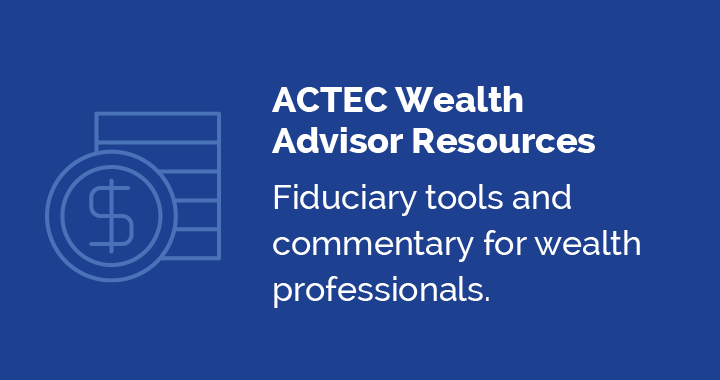 Our members, who are called "Fellows," are the best and brightest in the trust and estate practice, with years of experience representing and advising families. Why an ACTEC Fellow? Our Fellows are a group of talented estate and trust lawyers from around the world. 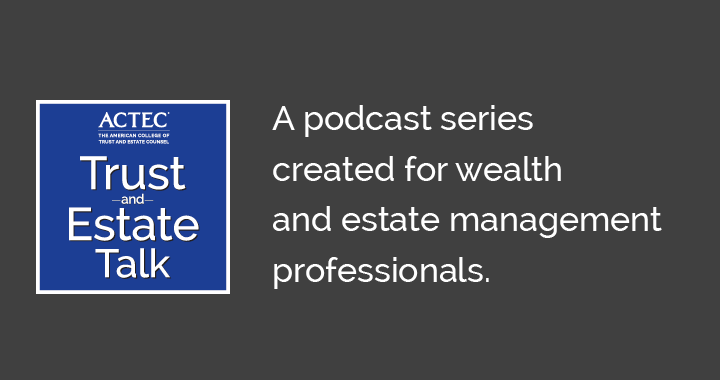 Their goals are serving clients, helping the profession, and informing the public. 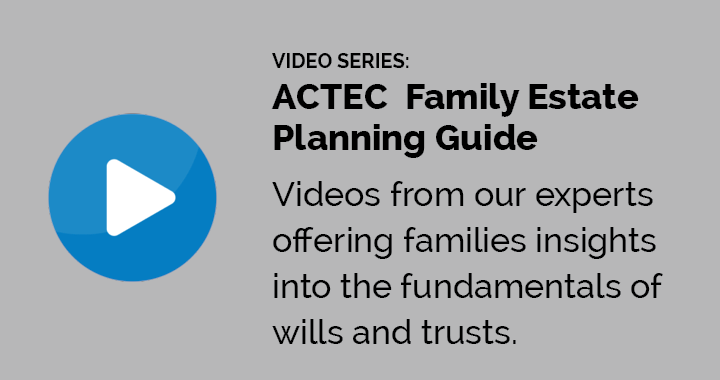 One of the central purposes of ACTEC is to study and improve trust, estate and tax laws, procedures and professional responsibility. ACTEC and its Fellows file amicus briefs in appropriate cases, testify before Congress, provide in-depth analysis of administrative positions to the Internal Revenue Service, assist in the development of best practices for trust and estate lawyers, and participate actively in the development of the recommendations being promulgated by the international Financial Action Task Force. Issues facing the ULC regarding the Uniform Power of Appointment Act and the Uniform Directed Trust Act with an expert on the subject.